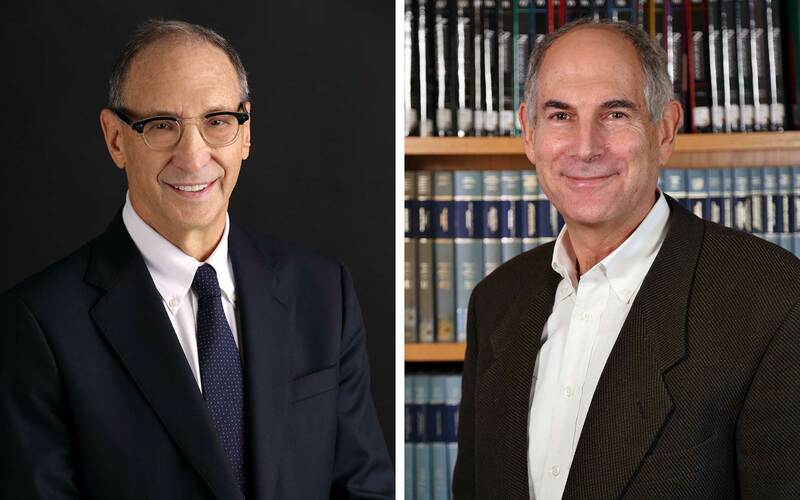 Cold Spring Harbor, NY — Cold Spring Harbor Laboratory (CSHL) today announced the addition of Bruce Ratner and Stuart Weisbrod to the private, non-profit institution’s board of trustees. Ratner is Chairman of the development company Forest City New York, notable for real estate projects including Brooklyn’s MetroTech Center and the new Cornell Tech campus on Roosevelt Island. Weisbrod is the Chief Investment Officer of Iguana Healthcare Partners, a healthcare investment fund focusing on public equities. Ratner started Forest City New York in 1985 and is now recognized as one of the largest urban real estate developers in the country. Often credited with spurring the renaissance of Downtown Brooklyn, Ratner developed Barclays Center and MetroTech Center, which provides offices for more than 20,000 workers. More recently, he redeveloped the Nassau Veterans Memorial Coliseum and was the master developer for phase 1 of the Cornell Tech campus on Roosevelt Island, which includes a campus building to encourage collaboration between academia and industry. A graduate of Harvard College and Columbia Law School, Ratner serves on the boards of Weill Cornell Medical College, Memorial Sloan Kettering Cancer Center and the International Association for the Study of Lung Cancer. He is also the Chairman of the Museum of Jewish Heritage. Weisbrod first came to CSHL after receiving a Ph.D. in biochemistry from Princeton University. From 1980-1984, he was a research fellow at CSHL and the Medical Research Council Lab in Cambridge, England. He then pursued an MBA at Columbia University and was a securities analyst at Prudential-Bache and Merrill Lynch. Weisbrod was a partner at Harpel Advisors and Oracle Partners. For the last twenty years, Weisbrod has been an investor in the biotechnology and pharmaceutical sectors, first at Merlin BioMed Group, which he co-founded in 1998, and now at Iguana Healthcare Partners, which he founded in 2009. A past board member of Cambridge Antibody Technologies, LTD, Weisbrod also served for 10 years on the Dean’s Council of the Princeton University Graduate School. CSHL is a “public charity” under Section 501(c)(3) of the IRS. The officers of its governing body, the CSHL Board of Trustees, are: Chairman, Jamie C. Nicholls; Vice Chairman, Robert Lindsay; Vice Chairman, Marilyn Simons, Ph.D.; Treasurer, Leo Guthart; Secretary, Paul Taubman; President, Bruce Stillman, Ph.D; and Chief Operating Officer, W. Dillaway Ayres, Jr.